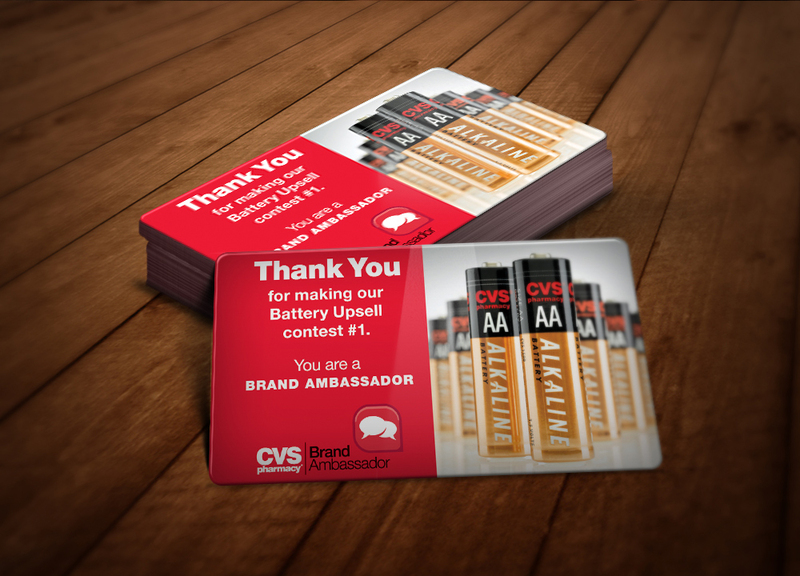 Contests are a great way to boost employee morale, as well as sales revenue, and that's the route CVS decided to take to drive the sales of its CVS branded batteries. Each retail store ran a competition to see which employee could sell the most batteries in a single week. The prize? A Music Download Card that entitled the winner to 12 FREE songs—an album's worth of music! Redeeming the prize also allowed the winning employees to be recognized by the rest of the company for their efforts. Weekly contests continued, with the numbers resetting each time, so that the competitions could begin all over again. The opportunity to earn for free Music helped the staff at CVS stay motivated towards the brand's products, and in-turn, increased sales revenue. Offering prizes to those who meet a certain goal, or multiple goals, is a surefire way to bring new life to your workforce.